Bill Jr. Jr. is a new indie folk band out of East Vancouver. This five piece delivers the rich sound and rhythm of a hollow body baritone guitar (Russell Gendron), nuanced and idiosyncratic drumming (Byron Peters), mellow bass lines (Andrew Hewins), washed out trumpet by Caton Diab and an emphasis on vocal harmonies (Emily Huynh/Russell Gendron). 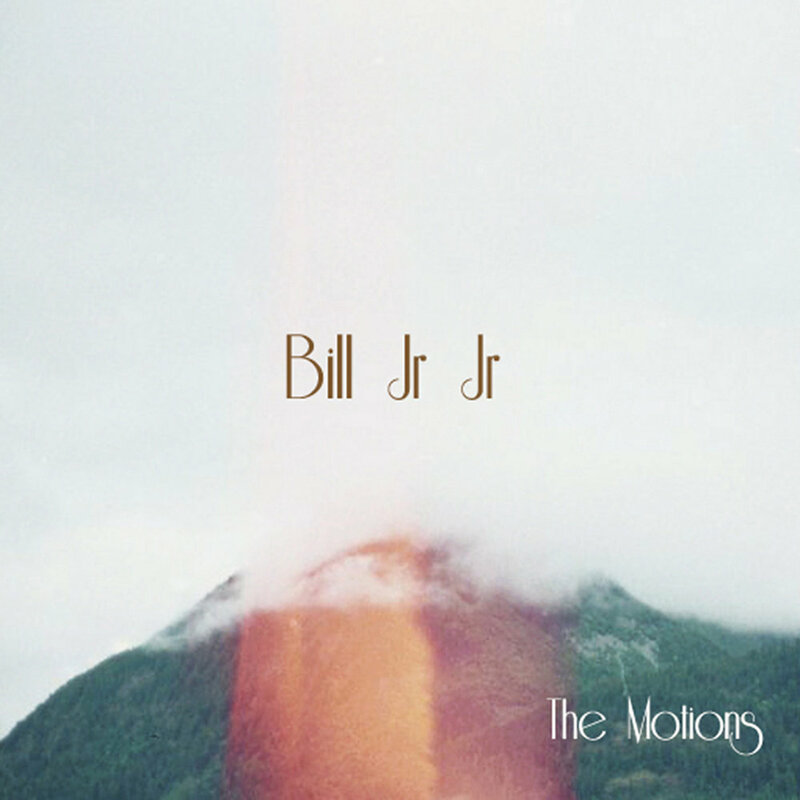 Bill Jr. Jr.'s latest release, "The Motions", is a vulnerable display of original songwriting with soothing upfront and dreamy vocals that settle nicely amidst tight grooves. Bill Jr. Jr. is an indie folk band out of East Vancouver. Members are Russell Gendron (guitar, vocals), Byron Peters (drums), Andrew Hewins (bass), and Emily Huynh (vocals). their latest release, "The Motions", penned by frontman Russell Gendron, is a vulnerable display of original songwriting with soothing upfront and dreamy vocals that settle nicely amidst tight grooves. September 2017, 869 House Show (Album Release), Vancouver, B.C. September 2017, The Biltmore Cabaret, with Tavis E. Triance Vancouver, B.C. July 2017, The Fox, with Sarah Jane Scouten Vancouver, B.C. November 2016, VALT, Vancouver, B.C. November 2016, Hidden City Records, Vancouver, B.C. October 2016, with Khari Wendell McClelland, Hidden City Records, Vancouver, B.C. October 2016, The Heatley, Vancouver B.C. August 2016, The Field Gathering Festival, Winlaw B.C. August 2016, with Only a Visitor, Publik Secrets Concert, Vancouver B.C. July 2016, with Graftician, 240 Northern St. Studio, Vancouver B.C. July 2016, with Nothingness, Neptoon Records, Vancouver B.C. July 2016, The Heatley, Vancouver B.C. July 2016, with Sarah Jane Scouten, The Hive, Gabriola Island B.C. June 2016, with Conrad Black and the Heart Attacks Cafe Deux Soleil, Vancouver B.C. May 22 & 23 2016, The Groove, Mayne Island B.C. May 2016, The Heatley, Vancouver B.C.